When it comes to Rick and Morty, you can never have too much. 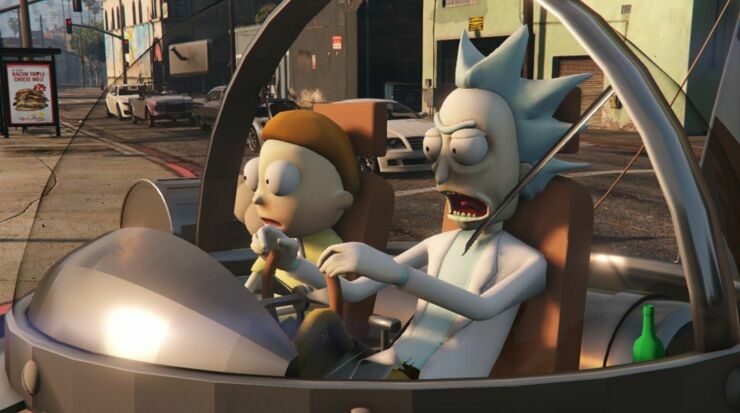 So while awaiting the rest of season 3, indulge yourself with this Rick and Morty GTA V mod. 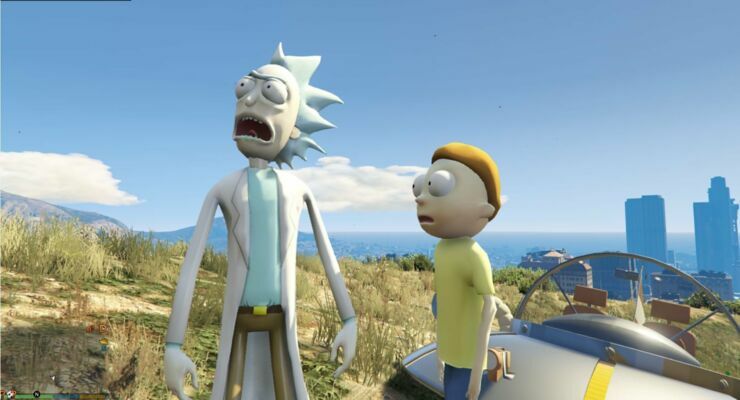 Since Adult Swim dropped the Rick and Morty season 3 premiere out of nowhere on April Fools Day, the duo haven't been far from fans' minds. Not only did the episode launch a frenzy for McDonald’s Szechuan dipping sauce, it also reminded fans of how much they missed the show since new episodes last aired way back in 2015. We now know that summer 2017 is when we can expect to see the rest of season 3, but it seems a long way off right now. 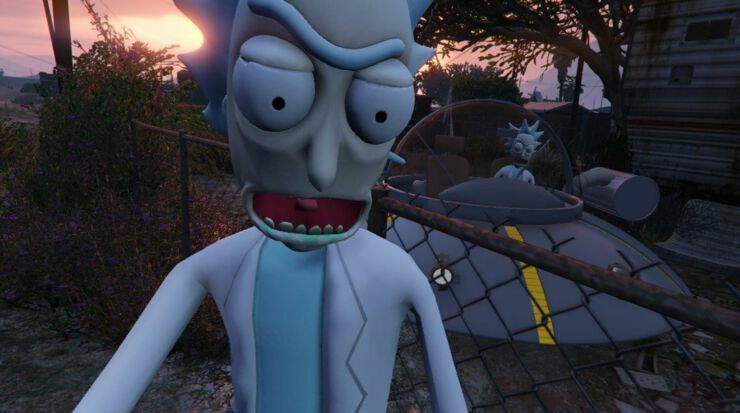 Apart from rewatching episode one of the season again and again (and again) or laughing at some Get Schwifty Rick and Morty memes you can also get your Rick and Morty fix (plus your Grand Theft Auto fix) from this Rick and Morty GTA V mod courtesy of modder Jedidiah515. But while seeing two Ricks cozying up to a Los Santos gangster is troubling, it's not entirely an out of joint sight, especially compared to the messed up weirdness of the show which has delved into far stranger territory. Like, well, that whole Unity episode. 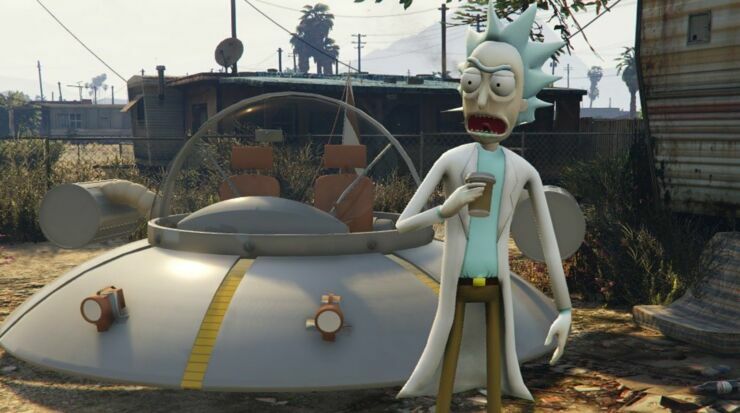 This amazing Rick and Morty GTA 5 mod just keeps giving. In fact the whole thing plays off like just another crazy multidimensional adventure for the pair. 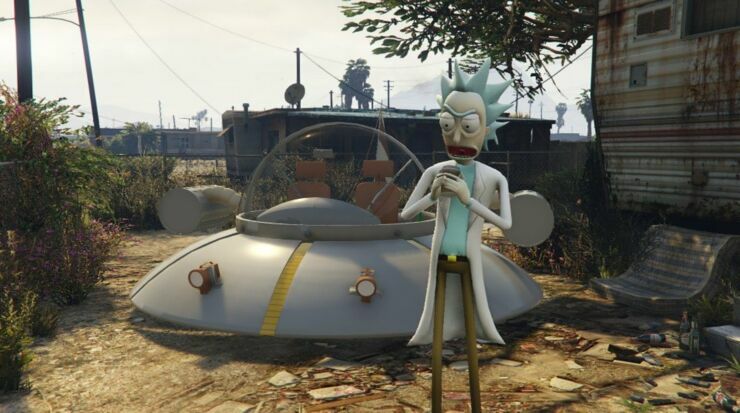 "I'm a huge fan of Rick and Morty, and since it has not been made yet, i decided to port a model base on Rick Sanchez and create a cool this Rick and Morty GTA V mod." notes Jedidiah515. Check out some pics and another video below. 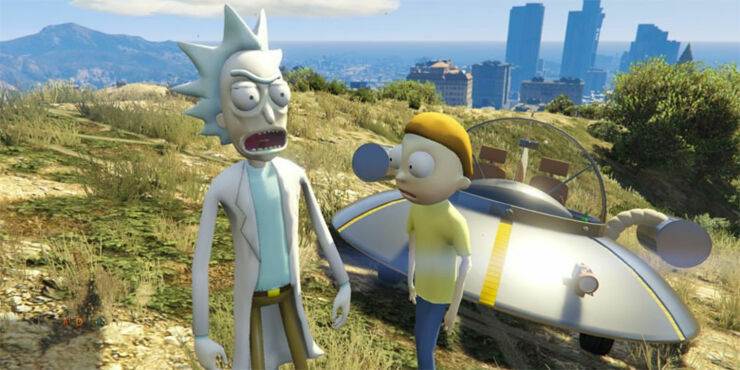 Well, that's not entirely true, more like another Rick and Morty GTA V mod gameplay video. 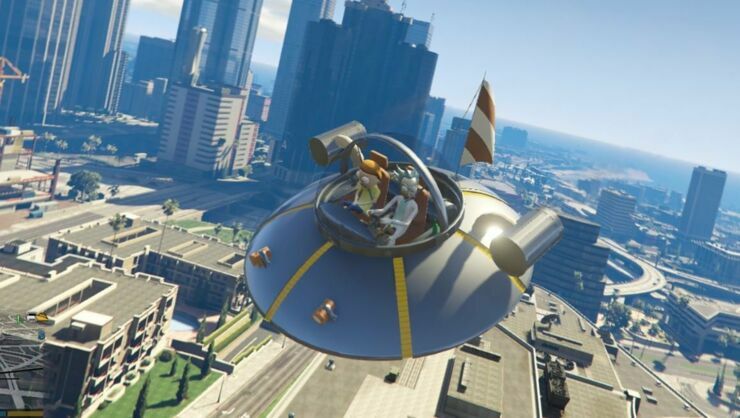 According to Jedidiah515 this one is showcasing Rick Sanchez & Morty Smith from the show "Rick and Morty" and his spaceship and is titled 'GTA V Mods - Rick and Morty (Mr. Meeseeks + Flying Spaceship)'.